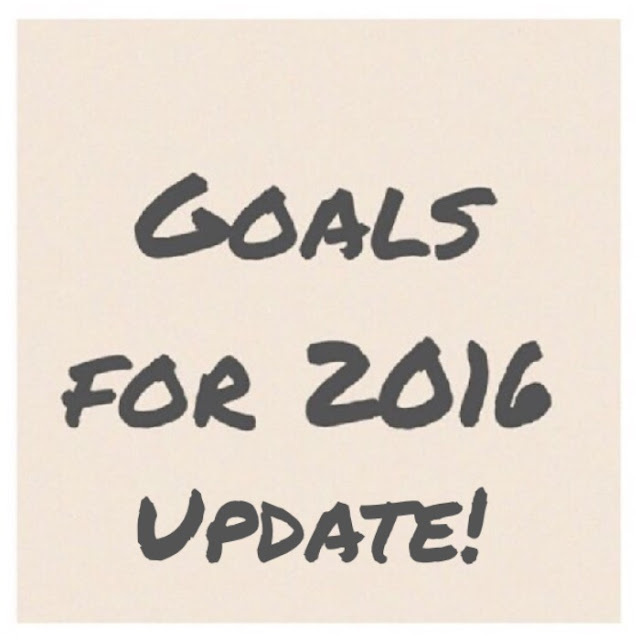 Briony's Goals 2016 - 6 month Update! Time to work on those goals! So I made my goals for the year public because I wanted to hold myself accountable and get somewhat close to achieving them. So be sure to read my previous post first! I honestly haven't thought too much about my goals since making them, as if you were reading my weekly posts at the start of the year, you would know it has been a shitting time for me. Some days I feel like I am getting it together other days I am crying over the smell of my hair spray. So this one I am on track to now, I have been eating really healthy since April now and getting the weight off. However I was comforting eating a lot in february so I had gained weight and did get heavier than I was at the start of the year. Now though I am lighter than I was all of last year and slowly getting closer to wear I want to be. Okay so there was a point where I was not doing this at the start of the year! I hurt my back and wasn't allowed to any of my usual activities. I worked with a physio and now am back at doing personal training, bootcamp, dragon boating and yoga! So I definately getting my strength up and am hoping to include more cardio soon. You can track my progress on Goodreads, i'm only at about 18 books at the moment so not close to my goal. My issues is that I keep re-reading books! C.M Owens Sterling Shore is just too addicting to read and I have re-read the whole series again along with some other books. It doesn't help that I seem to be reading 20 books at once. Okay so I actually am a lot cleaner than I was! Although there is times where the mess gets a little out of control however that is less frequently than it was in previous years. I feel like one of the reasons it is cleaner is every Monday night my family comes over to my place to watch Game of Thrones and I don't want them to see my place looking a mess. They know though! How are you getting along with your goals that you set at the start of the year? Do you need to be reminded to work on them again? Thanks lovely! Yes I love being held accountable for my actions.